Ben Heckendorn is a wizard, one who makes modern electronics into magical creations. The master modder has turned out several varieties of Xbox 360 laptops, another Xbox 360 with Atari 2600 styling and a Bill Paxton pinball machine. But his new creation might be his most ambitious feat of technomancy yet. 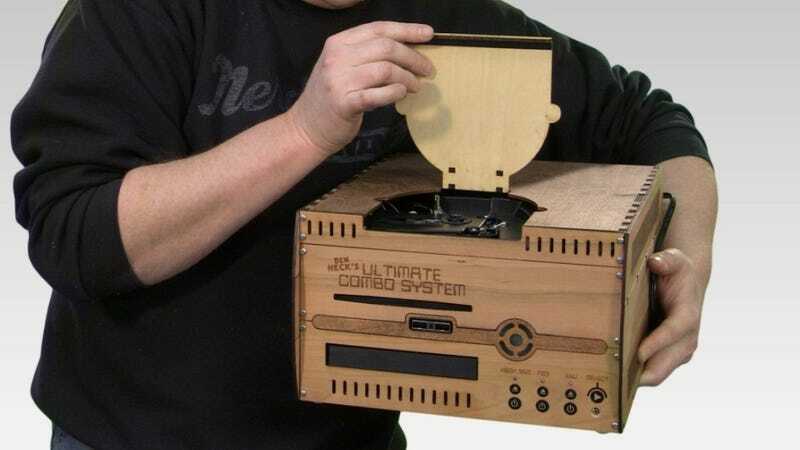 This time, he's created a Frankenstein's Monster out of the parts of all three current-generation video game consoles. Starting this week, new episodes of The Ben Heck Show video series on Element 14 document the process of getting all that hardware into one enclosure. You can see him take apart the super-slim PS3, the Xbox 360 and the Wii U. It's funny how Heckendorn name-checks the hours-long update for the new Nintendo system even though he's never handled one before. Guess that meme really got out there, huh? I have to say that getting all those guts into one place with ostensibly less cables and power plugs would make many a gamer's life much easier. So, how much would you pay for this beast?